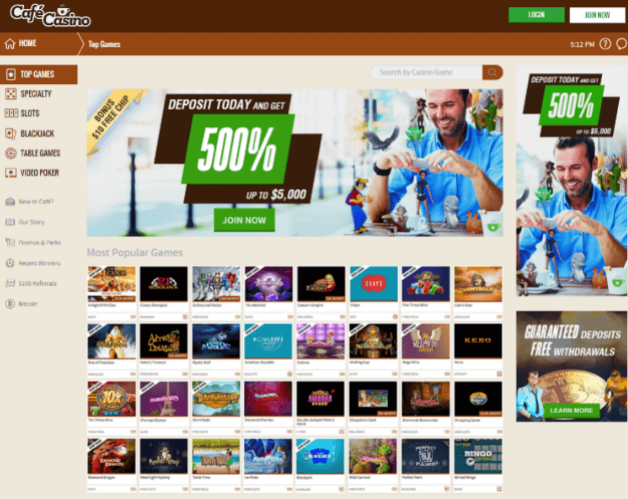 Café casino is a relatively young operator which came online in 2016. They are part of the Lynton Limited group of online casinos, along with a number of other reputable operators. The casino is licensed in the jurisdiction of Costa Rica, which is the main reason why this operator accepts players from the US with open arms. Players can access the casino in instant play and mobile mode, by accessing the casino website from their mobile device. They are powered by Rival Gaming so players can enjoy over 200 video slots, a great table games selection, as well as keno, bingo, scratch cards and video poker. 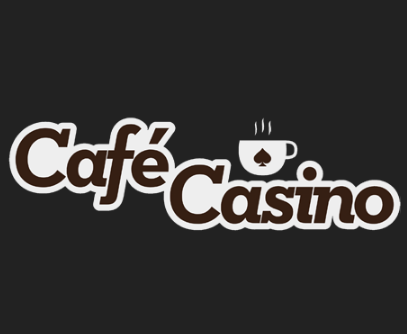 Unfortunately at the moment Café Casino doesn’t have any live dealer games available. The choice of payment providers at the casino is limited. You can make deposits and withdrawals only by using Visa, Master Card, American Express and Bitcoin. When it comes to withdrawals you can expect pretty fast payouts at Café Casino. All payouts to credit and debit cards are usually processed within a few business days. But if you decide to withdraw by using Bitcoin your winnings will be processed within 24 hours. This is a fast payout timeframe, especially when it comes to US friendly casinos. The bonus offer at Café Casino is pretty attractive. To get you started the casino will give you a $10 no deposit bonus to try the games for real play, just for creating an account at the casino. Afterwards you can claim a 100% match deposit bonus up to $1,000, on your first deposit at the casino. If you like to make bigger deposits and claim a bigger bonus you can also choose their 500% up to $5,000, first deposit bonus. The casino also has an array of generous promotions which you can claim on an almost daily basis. All you need to do is use up the welcome bonus and become a regular player at the casino. After that you can enjoy all of the bonus promotions that Café Casino has to offer. In order to help their players in times of need the casino has a professional support team of agents on the standby 24/7. All you need to do in order to get in touch with an operator is to use the live chat service. An agent will instantly come online and help you with your query, so you can go back to playing your favorite casino games in no time.